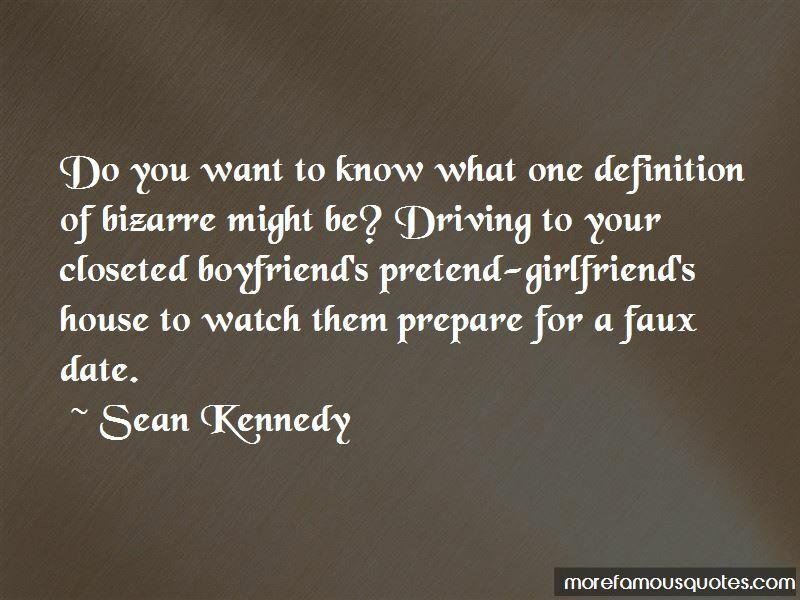 Enjoy the top 26 famous quotes, sayings and quotations by Sean Kennedy. “So what are you going to wear?" “I would never have broken up with you," I said earnestly. "I'm more miserable without you than I am with you." As soon as that sentence came out I groaned, because I knew how bad it sounded. And I know when you're a teenager everybody feels different and alien to the other people around them but there seems to be an added dimension when you're queer. It's because for that period of time you're more isolated than anybody else and you truly think you are the only one of your kind. So you create fantastic barriers and defence strategies for yourself to survive. And when you get older and realise that you can take them down it's an internal and eternal struggle to do so. Fear is the best anti-motivator in the world. they had forgotten something. I took my time, lacing my boots, and the buzzer became more impatient. "I'm coming, shithead!" I yelled. Yes, I should have known better. For of course, it was not Roger or Fran. I threw open the door to find Declan Tyler standing there, looking half-insulted and half-amused. Do you want to know what one definition of bizarre might be? Driving to your closeted boyfriend's pretend-girlfriend's house to watch them prepare for a faux date. “It's just going to add to him thinking that I am a crazy, wanky, greenie, hybriddriving hippie," I complained. Don't I always tell you to never listen to me? So, I just want to say, I love you, Declan Tyler, and when we can, I can't wait to destroy the sanctity of marriage with you. 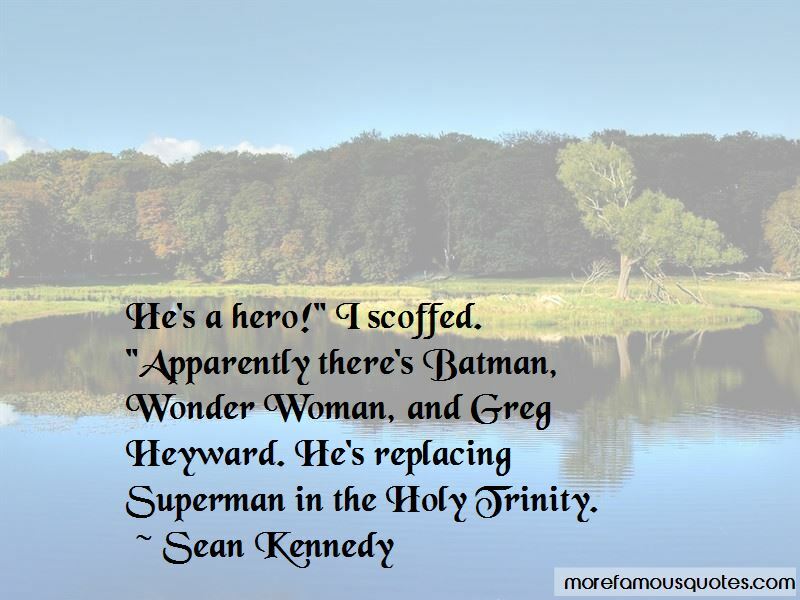 Want to see more pictures of Sean Kennedy quotes? Click on image of Sean Kennedy quotes to view full size.